What can tech startups learn from Paila Technology? Information technology has become an integral part of every major global industry and demand for technological products and services is increasing. IT industry has growth potential in Nepal due to cheap labor cost compared to other countries. In companies with technology at their foundation, acquiring and holding skilled manpower is a major parameter for success. In Nepali context, there are several new and established companies providing Internet-based solutions with the web, app, and other IT developers. Some notable companies provide outsourcing services to international clients creating lucrative employment opportunities to Nepali IT graduates. And then there are companies that develop custom technology solutions that cater the needs and demands of the local market. At the present heart and hype of this type of company is Paaila Technology. The company pioneers in developing AI and robotic solutions to visualize commercial applications which eventually solves a market problem. Paaila Technology is a fast paced company with core focus on AI, robotics, and industrial automation. In a short span of time, it has delivered products and services to some of the biggest brands in the country – SBI Nepal Limited, nLocate, Gyani Traders and many more. 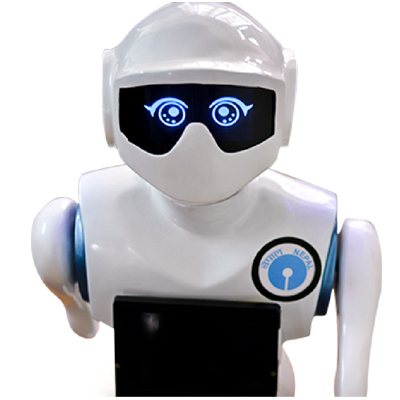 Paaila’s popular flagship product ‘Pari’, a humanoid robot was deployed in providing customer service at SBI Bank in 2017. At its early stage, Paaila has captured the imagination of local Nepali market and acquired notable media attention by providing customer service through a humanoid robot. For a team comprising of mostly engineering graduates from Pulchowk Engineering Campus, Paaila follows some positive traits towards success. Mildly technology adopted cultural segment like Nepal makes it harder for international, well-established competitors to spend their resources and expertise into such naive market. This makes Nepal a niche market segment for businesses like Paaila Technology, financial services, and Internet-based solutions. Locally based businesses can sustainably run and identify the local market problem to solve and measure impact effectively. Acquiring robotic solutions developed abroad can impose a higher cost in Nepali market. Customizing those solutions to perfectly fit Nepali market can face language and culture processing barriers. Imported robots deployed in the market often face technical glitches and require regular technical support. The robotic and AI-based solution is expected to reduce the cost of manpower. But, existing import of robots developed in China makes it difficult to improve the product and instead require more manpower to manage the robots. Paaila commits itself to developing the world-class robot and AI solutions and serves local market with ease in deployment and regular tech support. Technological advancement provide unique opportunities to solve problem that could not be solved before. 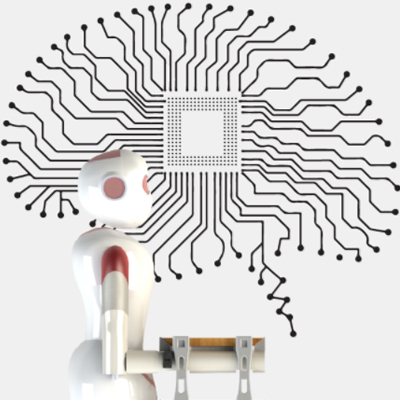 Paaila develops technology solutions using Computer Vision, Natural Language Processing, Embedded System Design and Robot Modeling & Design. They believe their products maintain global standard and can compete with products from any countries during market expansion. Most IT graduates update themselves with state of the art technology at their disposal during their educational period. Such knowledge base acquired at relatively low investment can be deployed to develop innovative advanced technology products. Starting salaries for software developers is far less in Nepal than other countries. Global standard technology solutions build and validated at such low cost expenditure can later be customized for foreign high pay markets to create derivative revenue sources. At initial phase, robotic interaction and computerized guidance system can be developed with minimal financial injection, appropriate marketing – client identification if they have the right technical team. A small team operates on a lean feedback methodology: develops the product prototype, makes testing and provide feedback to improve and adapt the product. Companies with strong technical team can prototype the solution and make market testing at their own efforts. A strong technical team can eventually identify and attract talented members during scaling. Paaila insists in keeping their employees happy by paying competitive salary for motivated, skilled individuals instead of putting their time and guidance to unfit and underskilled individuals. Paaila’s team composition includes business and operational members, engineers specializing in robotics, computer vision and mechanical engineering. Effective market positioning, product and business development is crucial for success of early stage tech startups. A team composition of management and technical knowledge base and skills can envision and acquire diverse strategies for operations and necessary future direction for the company. At early stage, communication channels need to be established within the team members and departments to keep track of the workflow. Deployment of project management approaches can address end to end analysis for complex issues and identify requirements of manpower and resources. Paaila in its initial operations served website design and development to image processing solutions for business clients. ‘Automatic Dhara’ and ‘Variable Frequency Driver’ for household and large scale industrial automation. Usually converging IT business is painful for founders but necessary and key to succeed. Despite being acquainted with the advice of working on converging business, Paaila has just started to focus its expertise on Robotics and AI solutions. After successful deployment of humanoid robot in customer service of bank, Paaila is set to launch waiter robot in January and room service robot in February. By identifying unique market opportunities, Paaila is paving way for development and deployment of advanced technology solutions within Nepal. The company is scaling its team and plan to scale its business in foreign cities of India and identify relevant market applications. For technology startups and IT graduates, Paaila can be a learning experience in terms of technology and business development. Wishing Paaila Technology a prosperous future, we thank Co-founder of Paaila Technology, Wasim Akram Khan for sharing his experience and insights.